MAMIO is an existing digital health start-up that uses image recognition to track medicine intake. 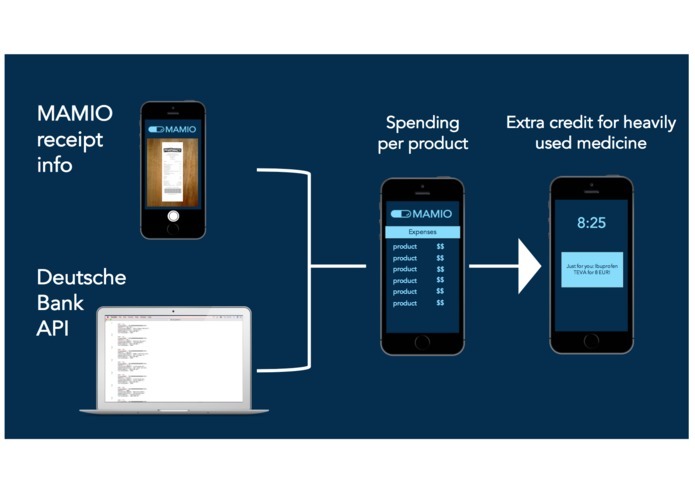 At the hackathon we saw potential to partner up with Deutsche Bank and create a new functionality for MAMIO. MAMIO expenses extracts text from receipts and combines them with the Accountinsights API to create a split of medical expenses per product. It can then notify the user of how much of their total budget they are spending on a given product. Starting from a Marionette.js framework, we decided to fill it in with Deutsch Bank API users insights data, in correlation with their purchases, on one hand. On another, we are a startup building an image-recognition application that extract relevant info from medicine intake and/or prescriptions and receipts. We therefore decided to match users purchase of medicine with their past history and suggest items. 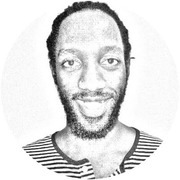 Processing users data from DB API + recommender algorithm. Text to speech and predictive analyitics.